Motorola is a renowned mobile manufacturing brand. For the last few time it is in the news in media. Moto E is the reason behind it. Motorolla was quite for last few period, but surprising the mobile that has been launched recently gained a huge positive response from the users. Motorolla launched this smartphone with admirable features with a price tag of Rs 6,999. Motorolla joined hands with Flipkart after which , Flipkart becomes the sole distributor of this mobile in the Indian market. This entry level smartphone is equipped with a 4.3-inch screen, 1 GB RAM, 1.2 GHz MSM8x10 Dual Core Processor. Android v4.4 OS is provided to this phone which has attracted buyers as this OS is not available in such a low budget mobile. Dual GSM sim compatibility is also supported by this model. And now the most interesting fact about Moto E comes into news. Soon after the availability of this smartphone on Flipkart, it was sold and status changed to “OUT OF STOCK“. According to the portal, phone will be back in stock soon but Flipkart is taking bookings for the phone. This product goes outof stock for both the black and the white colour variants. Flipkart has promised to deliver Moto E (Black) in 7 to 10 days but there is a longer wait for the Moto E (White) which might take 10 to 15 days for shipment. 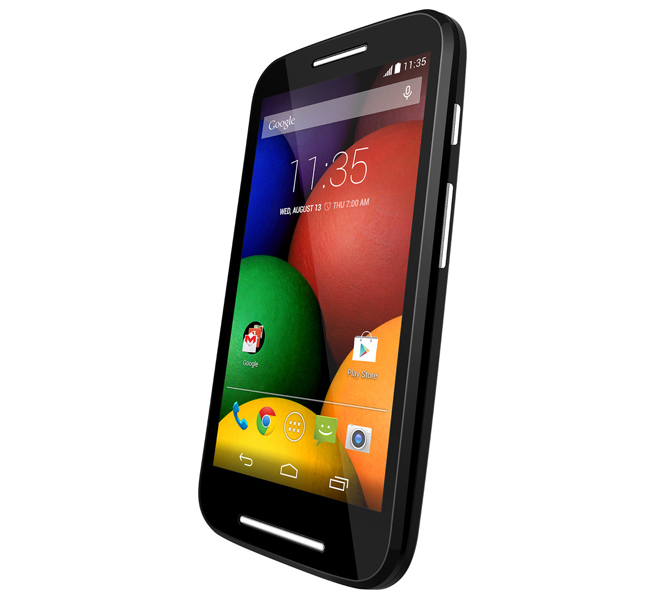 In low price range, where advance features were just a dream, Moto E made an entry and got a revolutionary result from mobile users.